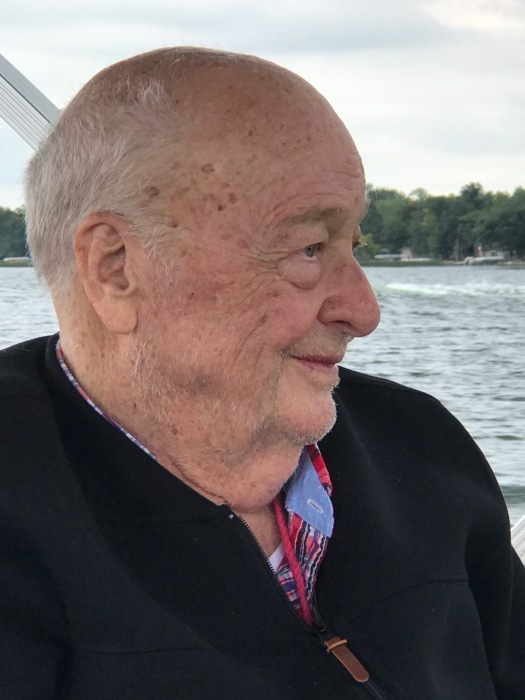 Robert James Johnston, age 90, of Alexandria, formerly of Parkers Prairie, died Wednesday, November 14, 2018. Family and friends will gather from 2 p.m. until 4 p.m. on Sunday, December 2, 2018, at the Prairie Event Center in Parkers Prairie. At 4 p.m., there will be a prayer service, with Rev. Kirk Lee officiating, followed by full military honors accorded by the Minnesota Honor Guard and the Parkers Prairie American Legion Post 219. Robert was born on June 3, 1928, to Elmer and Mildred (Black) Johnston in Hillsboro, North Dakota. He was raised on the family farm in Grandin, North Dakota with his ten brothers and sisters. Bob graduated from Grandin High School in 1946. He served in the U.S. Army Air Corps from 1946 to 1949. Following his honorable discharge as sergeant, Bob returned home to North Dakota. He was united in marriage to Elaine Grothmann in 1951. Shortly after marrying they moved to Yakima, Washington where they lived for two years and their daughter, Peggy, was born. Returning to Fargo, Bob attended North Dakota State University where he received his teaching certification. While living in Fargo, Bob and Elaine welcomed their daughter, Patricia. The family moved to Parkers Prairie in 1955, where their son, James was born in 1961. Bob was a social studies teacher and then principal at the Parkers Prairie High School from 1955 until his retirement in 1993. He and Elaine were members of Immanuel Lutheran Church in Parkers Prairie for 63 years. Bob was a long-standing member of the American Legion and former board member and president of MEA Western Uniserv South. He was preceded in death by his wife of 67 years, Elaine on September 2, 2018; his parents; sisters, Grace, Maggie, Jean, Libby and Harriet; and his brother, Ray. Bob is survived by his three children, Peggy Johnston of Alexandria, Patricia (Dr. Mark) Odland of Carlos, and James Johnston of New York City; four grandsons, Alex, Mark (Rachel), Matthew (Kristin), and Anthony (Ashley); ten great-grandchildren; sisters, Penny and Dona; brothers, Dave and Lloyd; and several nieces and nephews.